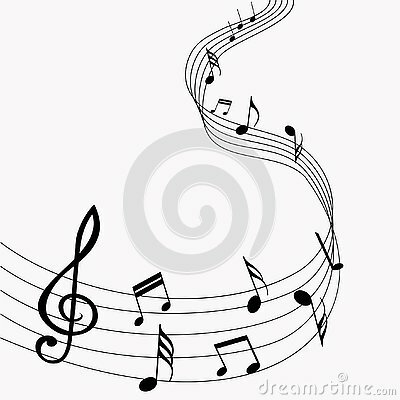 Vector musical notes. Music. Gray background. Piano illustration from side view, with musical notes. Isometric musician s room. Vector isometric home music recording studio with related equipment. Drum machine. Vector illustration. Flat icon, logo.